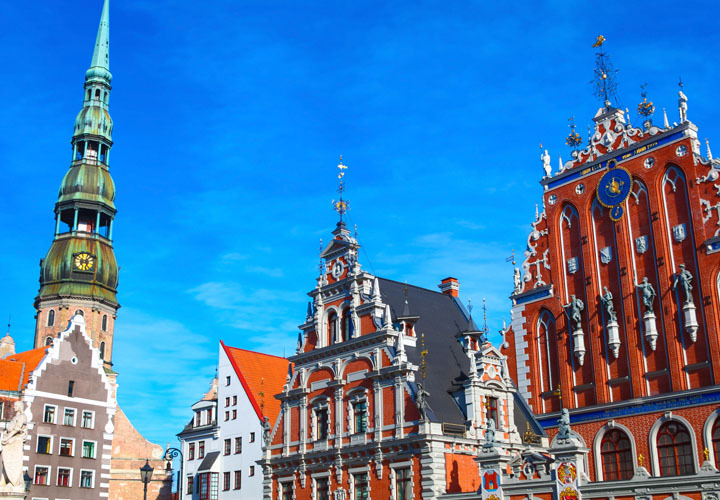 We’re excited to have launched a brand new tour for 2017 spanning across three different countries with fascinating histories and heritage; Finland, Estonia and Latvia. We start with Helsinki, the largest city and capital of Finland, with a population of 629,000. It was founded in the 16th Century by a Swedish king. In 1747, the Swedish parliament made a decision to build a central fortress including a naval base in Helsinki. The ambitious fortification plans had to be scaled down a few years after the construction began, although it still took almost 40 years to finish. In May 1918, the fortress was renamed Suomenlinna (‘Castle of Finland’) to reflect Finland’s independence and it was annexed to the state of Finland. 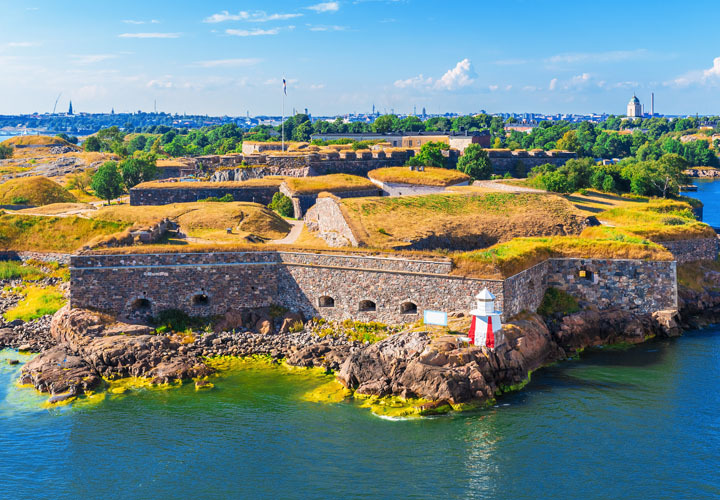 The fortress still stands today and since it is straddled across six of Helsinki’s islands, it is hard to miss. The development of the capital was catalysed by the 1952 Olympic Games, where it saw a rapid increase of visitors. Helsinki is also home to many other beautiful buildings and architecture; it was declared the ‘World Design Capital in 2012’. Directly below Finland, across the Baltic Sea is Estonia. Tallinn, the capital city, has origins that date back to the 13th century when the Toompea Castle was built by crusading knights of the Teutonic order. As many will tell you, Tallinn is a place of beauty. Our favourite place to visit is the Kadriorg Palace, which was designed to resemble the Italian palaces at the time. The three levelled palace features a mixture of architectural styles, including a banquet hall and winter garden that was added in 1993 to the rear façade of the palace. 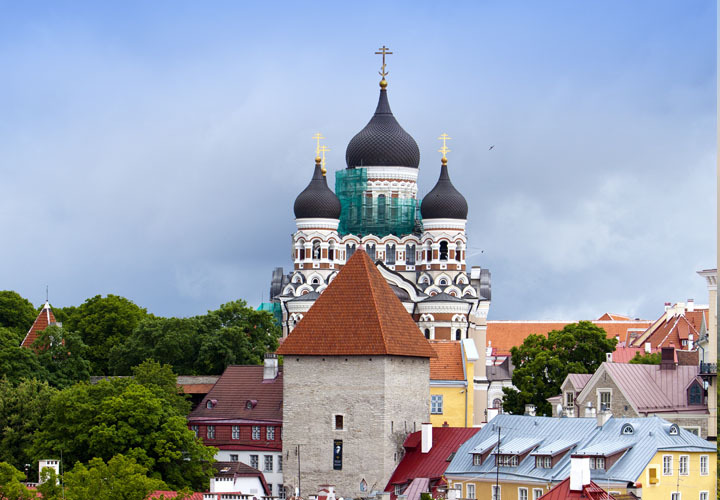 A relaxing countryside drive from Tallinn brings you to Estonia’s culture capital, Tatru. The architecture and city planning is from German descent in the pre-independence period and so expect a big difference to Tallinn! Latvia is the final destination. It became independent from the USSR in 1990 and since then has developed into one of the busiest countries in trade; the Port of Ventspils is the busiest port in the Baltic States. Latvia’s capital, Riga, is the largest city of the Baltic Islands. Described as the ‘European Capital of Culture’, its architecture is astounding and diverse: Art Nouveau style buildings are often situated side by side with gothic churches dotted around the cities. Two nights here is enough to explore the city, including the riverside Historic centre on our walking tour. 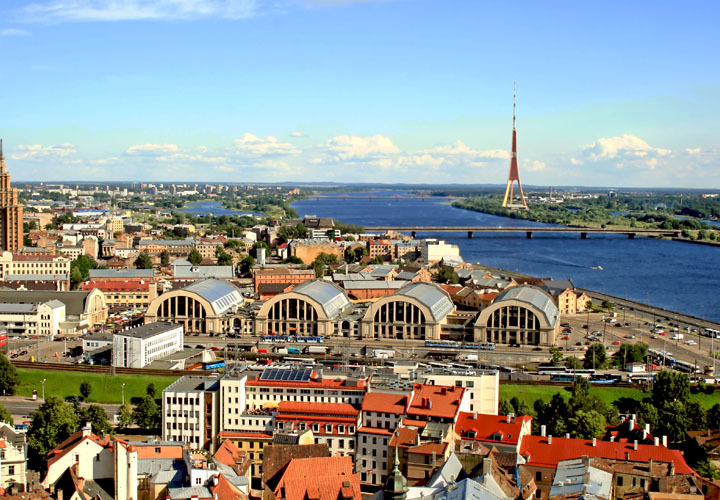 This UNESCO World Heritage Site celebrates Riga’s History as a meeting point for European countries. Riga, the cosmopolitan cornerstone of the Baltic, is the perfect place to end the holiday. Helsinki has a very cold climate in winter so it is advised to wrap up warm. However, the summers are long and there can be up to 19 hours of sunlight a day, so make sure you check the weather before your trip. Finland, Estonia and Latvia all use the Euro for currency. Are visas required for UK passport holders? British passport holders do not require a visa to go to any of the countries visited on this tour. There is one road in Tallinn that is moderately steep, probably beyond any wheelchair use even with a very fit helper. Beyond that there is one very steep section, easier to use the adjacent steps which I would say is not practical. Other than that moving rould on the cobbles may not be very comfortable. However, anyone reasonably fit will have no problem (don’t know about any winter situation) as the guide we had did not set too fast a pace and with the radio earpiece provided on the tours even though not at the front those at the back could still hear with no problem. Relax and enjoy as did all our party. The walk is not very difficult, though it is not completely flat and straight. It would not be suitable if for anyone with mobility issues such as walking difficulties or those in a wheelchair. The Suomenlinna Fortress has a variety of terrain – cobble, gravel plus some inclines. If you wish to speak with someone in more depth please contact our reservations team on 01283 742 300. This is a trip I have been looking for.